The Springtest 2 has been especially developed for the precise measurement of compression springs. 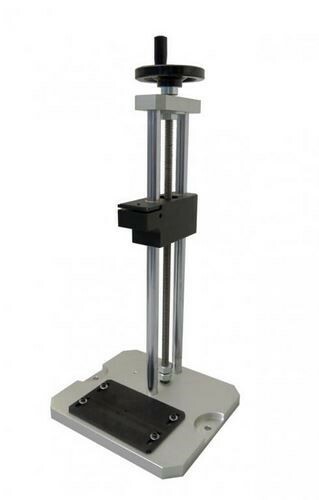 This manual test stand with force gauge or external load cell and digital ruler is well suited for the measurement of springs and components with small dimensions. 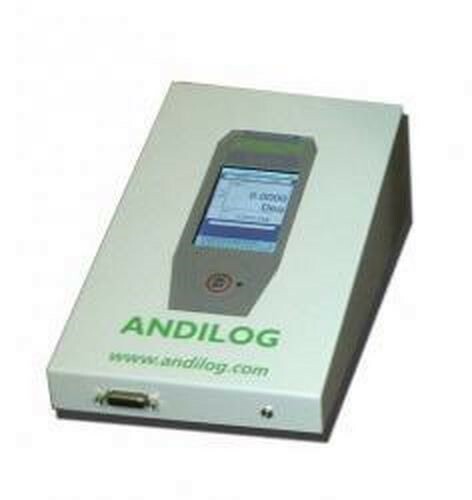 The spring tester is equipped with the latest technologies for the data acquisition, data processing and force measurement thanks to the Centor Touch Dual. This measurement system permits the acquisition of the force and displacement with a high sampling frequency in real time. Hence, your measurements are more repeatable and more exploitable. 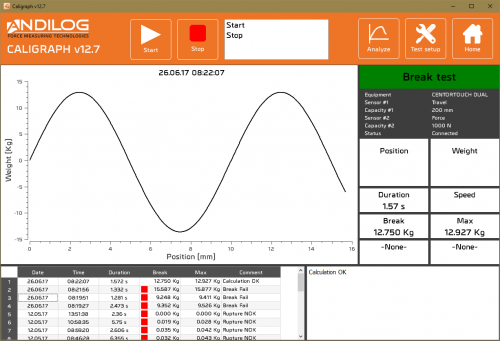 In addition, the Springtest 2 offers you unique functions on the market: touch, color display with visualization of the curve, included data acquisition software, interchangeable load cells etc. 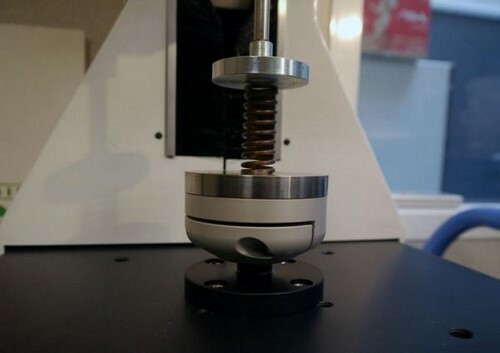 The force tester Springtest 2 is dedicated to high precision measurements of compression, especially to springs. It is robust and equipped with a small crank handle which enables a precise and easy positioning of the measuring head on the spring. 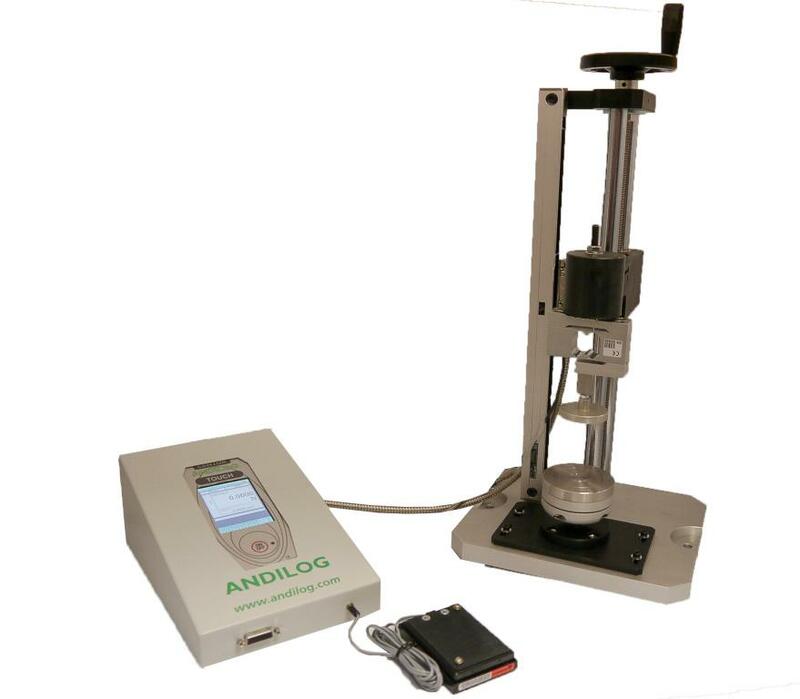 This test stand is also equipped with a precise displacement sensor which gives a measurement of the flexion or height measured under load with a resolution of 5 µm. In order to ensure the perfect parallelism during the measurements, the under platen of the Springtest is adjustable. This improves the positioning of the spring or the component and guarantees a compression with very less mechanical noises. On demand, Andilog can also develop a mechanical guide for your springs. The Springtest 2 is equipped with a set of adjustable limit stops and with strain gauges of high precision (0,1% FS). This makes sure that the maximal capacity of the load cell is not exceeded. These stops are adjustable manually. The crank handle permit the slow and exact positioning of the measuring head: a full rotation with the handle corresponds to a vertical displacement of 2,54 mm (0,1 in). During the measurement, the Springtest 2 shows on the included data acquisition and analyzing software Caligraph the force/time or force/displacement curve. This data is saved automatically on your computer and Caligraph enables you to analyze, format and export the test results into personalized reports. Of course, you can also export the points of the curve into Excel. The Springtest 2 is the perfect solution for repeatable, precise and traceable force and displacement measurements for your springs and components. Bauteile. A very simple, economical system for checking compression springs. The measurement head gives the force applied, the displacement sensor shows the flexion or height measured under load.